Please contact me before placing your order and let me know what your challenges are and how I can help you achieve your goals. 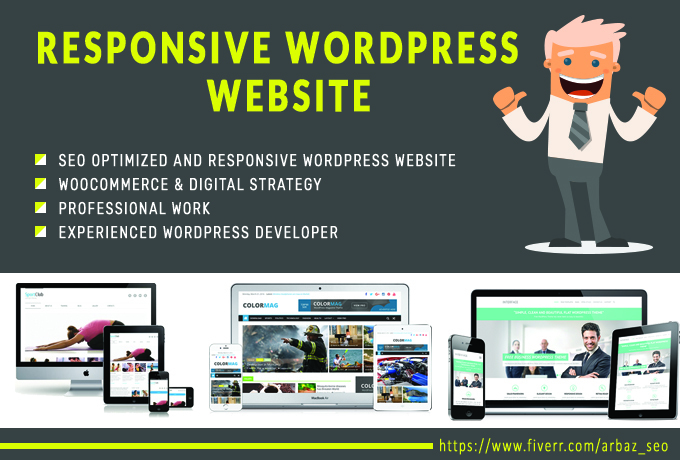 I’m an experienced WordPress developer specializing in custom WordPress web design, front-end development, WordPress Development, WooCommerce & digital strategy. I know how to make an impact by designing a professional, SEO optimized and responsive WordPress website for you. I deliver WordPress into high pressure, mission-critical environments for Betting Sites, Sports, Entertainment, Businesses, Companies, Corporations, Publishers, Organizations, Educations, Fashion, and News Media and so on. I’d love to work with you! 100% satisfaction guaranteed and 100% refund if not satisfied.